Magic, Mayhem, and Mystery There are no simple roads to Camelot. Thomas is a 27-year-old magician's apprentice who must travel to the Camelot guild house for his master. He takes the Road of Leaves, an enchanted tree-lined way that shifts every night as the winds move its leafy route. He joins a walking party that includes a monk, merchants, a troubadour, and an old woman. Thom expects a pleasant hike along the Road that was crafted by the great wizard Merlin. Instead, he staggers into murder, magical warfare, and romance. While trying to make his way to Arthur's capital, Thom fights natural forces, a sorceress, and a pair of ornery goats. Not only must Thom struggle to use magic he barely understands, but he also has to face an enchantment that is far beyond his comprehension. An enchantment that fights back, for the Road of Leaves will defend itself. 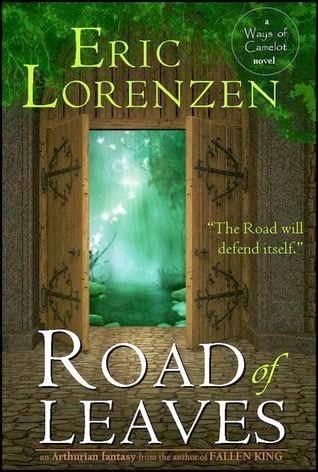 Lorenzen’s take on the fantasy genre keeps me coming back for more. He makes it his own with his creative creatures and uniquely descriptive writing style that leaves you breathless. You can easily visualise each and every aspect of this novel. Magic and mayhem become both possible and probable through Lorenzen’s words. He also weaves an intricate and captivating story that anyone who enjoys the fantasy genre will love. I really enjoyed getting to know the main character in this tale. He is the perfect fantasy hero, coming into his own and rising above. He is surrounded by a supporting cast that not only help him on his way but highlight certain aspects of his personality, both the good and the bad. They also fill out the story in a remarkable way. Overall, this was a brilliant introduction to Lorenzen’s new series. He sets the scene perfectly and intricately for this series. I can’t wait to see what comes next.